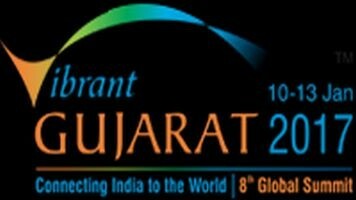 The Gujarat government's high-profile biennial global business summit, to be held from January 10 to January 13, is unlikely to see any focus on the controversial demonetization move of Prime Minister Narendra Modi, despite growing apprehensions that it would sharply slow down India's economy and lead to the flight of capital from the country. Addressing newspersons on the summit in Ahmedabad, Gujarat chief secretary JN Singh claimed that demonetization would “positively impact” on the summit outcome, as it is being held against the backdrop of the “bold” Modi move, leading to a great leap forward towards opening up floodgates of online transactions. Singh informed newspersons that, while 10-odd Nobel laureates will be participating in Vibrant Gujarat meet and participate in a discussion especially meant for them, none of those who have won Nobel prize in economics have been called. “Only those who have won Nobel prize in science and technology have been invited. Eight to ten will participate”, he said. Apart from finance, an official communique said, the issues to be discussed at the summit would be biotechnology, food processing, textiles, aerospace and security, plastics, engineering, heavy engineering and automation, chemicals and petrochemicals, pharmaceuticals and health. Issues related with climate change – including promotion of solar power – does not find mention in the list. While Prof Sen has described demonetization as despotic and authoritarian , American economist, Nobel laureate Paul Krugman, has characterized it as “highly disruptive”, pointing out, it is not going to change the overall behaviour towards black money in India. Upbeat about the summit, the top Gujarat officials said, this is going to be a “much bigger event” than the earlier Vibrant Gujarat biennial events, held ever since 2003. To be held in the presence of Modi, PK Taneja, additional chief secretary, industries, said, this time, instead of eight in 2015 as many as 12 countries are going to partner with the Gujarat government at the summit. These countries are, he said, Australia, Canada, Denmark, France, Japan, the Netherlands, Singapore, Sweden, United States, United Kingdom and United Arab Emirates. “We do not expect a high-profile political delegation from the US, because January would mark transition in the US government”, Taneja said. Similarly, Taneja said, there would be seven partner institutions that have decided to support the Vibrant Gujarat summit, as against five in 2015. These are Australia-India Business Council, Indo-Canada Chambers of Commerce, Japan External Trade Organization, UAE-India Business Council, UK-India Business Council, US-India Business Council, and British Council.